—ARI Network Services (NASDAQ: ARIS), a Milwaukee-based company that develops e-commerce software for equipment manufacturers and other customers, was acquired for about $140 million by True Wind Capital, a San Francisco-based private equity firm. Prior to the deal, shares in ARI Network Services traded on the Nasdaq stock exchange under the symbol ARIS. However, after the all-cash deal closes—expected by the end of September—ARI Network Services will go back to being a private company. —A team of students at the University of Wisconsin-Madison has constructed a second prototype for a vehicle designed to zoom through an above-ground vacuum tube at speeds of 200 miles per hour, the Wisconsin State Journal reported. In August, the “Badgerloop” team, which is made up of more than 150 UW-Madison students, will travel to California to participate in Hyperloop Competition Weekend II, a contest organized by the Elon Musk-run company SpaceX. (Musk introduced the Hyperloop concept in a white paper published in 2013.) The winning team will be the one that can reach the highest rate of speed and then make a complete stop on SpaceX’s mile-long Hyperloop track, according to the report. The Badgerloop team competed in a previous Hyperloop competition in January, but was not one of the three teams selected to test their pods inside SpaceX’s vacuum tube. —Madison-based SmartUQ, which is developing software that allows users to test the performance of physical products and the parts they’re made of, announced a collaboration with a consortium that is managed by the Ohio Aerospace Institute and is under contract with the Air Force Research Laboratory. According to a press release, the collaboration is aimed at developing a “probabilistic framework for quantity uncertainties in the secondary flow and heat transfer model for turbine engines.” The Ohio Aerospace Institute—located in the same state where aviation pioneer Orville Wright was born—formed the consortium SmartUQ will work with to develop, apply, and validate probability models. —We profiled Coinigy, a Milwaukee-based startup that develops software tools for trading on digital currency exchanges. These exchanges allow users to change U.S. dollars and other fiat currencies out for digital currencies, such as Bitcoin. Coinigy now has more than 29,000 active users, said Derek Urben, the company’s head of business development. 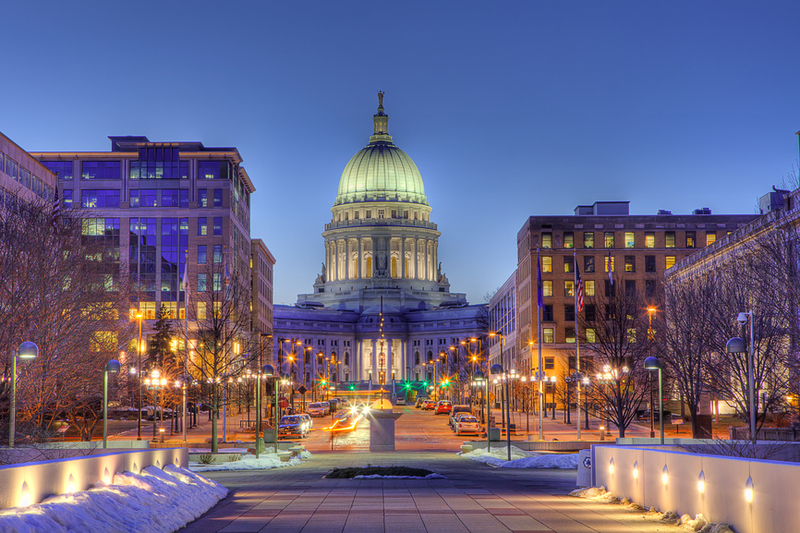 —Madison-based GrocerKey, which develops white-label software designed to help grocery stores create an online presence, recently signed up three new customers, but is not naming them for now, according to GeoMarketing, a marketing news website. That brings the number of grocers that are currently using or plan to use GrocerKey’s software to 15. Jeremy Neren, founder and CEO of GrocerKey, also discussed with GeoMarketing his reaction to Amazon’s (NASDAQ: AMZN) recent purchase of Whole Foods (NASDAQ: WFM). Neren was also interviewed for an article in Entrepreneur magazine published Friday about turning an e-commerce “side hustle” into a legitimate business. —Foxconn, a Taiwanese company that acts as a contract manufacturer for Apple (NASDAQ: AAPL) and other device makers, plans to invest more than $10 billion in an electronics display-making plant in the U.S. and is reportedly considering Wisconsin as a possible site for it. Terry Gou, Foxconn’s founder and chairman, revealed his company’s plans earlier this week at a meeting for shareholders in Taipei.